Well I apologise for the long delay. 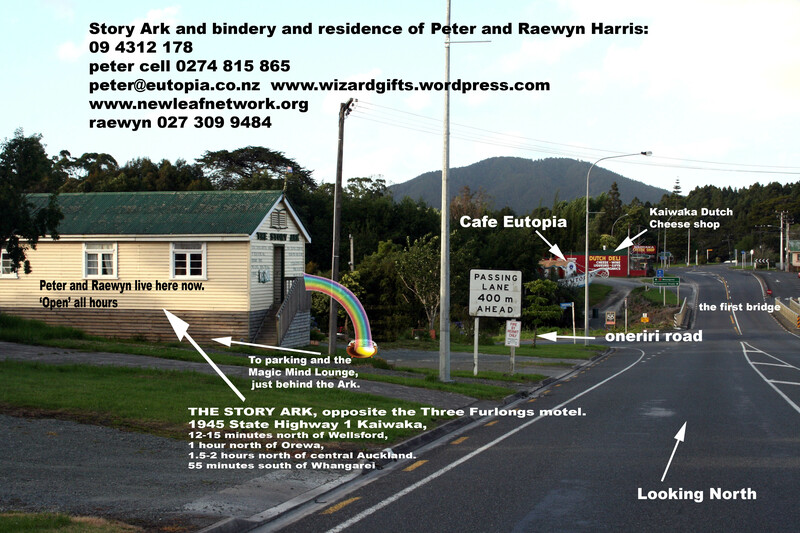 Here is the sign I’ve finally got up for the front of the STORY ARK, Kaiwaka, where I live and work. where I still hope to finish the building one day. 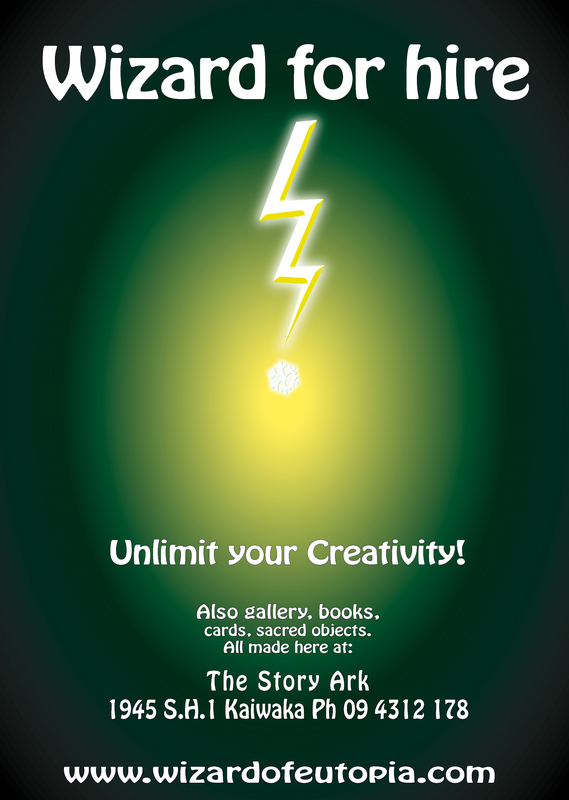 Meanwhile, I am just this wizard for hire, to earn a few shekels by being (manically) creative for you, or if you prefer as I do, helping YOU to be more creative and free than you might believe possible. I will be using the ‘flow rainbow’ (see www.flowrainbow.com) and the Tree of Life process diagram to elucidate the process of all creation and development, and giving you your own personal profiling so you see where you naturally ‘fit’ within the spectrum of culture – your own ‘flow zone’ where you are naturally successful. 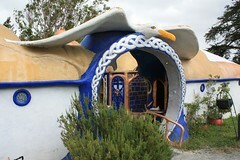 Plus there will be a menu of my book services (limited edition, POD, carved edge, etc), ebook uploading, ferrocement building and sculpting, and much more! So click ‘follow’ this blog and watch this space!